A number of research projects are currently being conducted, combining approaches as diverse as experimental designs, use of ambulatory assessment, and biological measurement techniques. 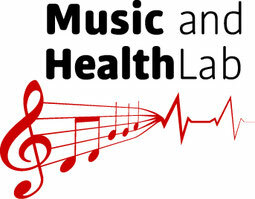 State-of-the-art equipment for assessing psychophysiological, endocrine, immune, and genetic parameters is available in order to study the effects of music on health from a multi-disciplinary perspective. 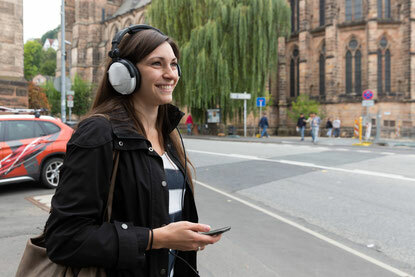 As music listening is an activity of daily life, we use ambulatory assessment methods to investigate associations between daily music listening, well-being and health. Our participants report on various time-points throughout their usual day on their music listening behavior, current mood and further health related aspects. 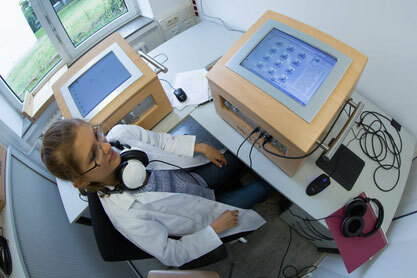 Participants also provide biological data, as for example saliva samples. By measuring concentrations of physiological stress markers in saliva, we seek to unravel the complex interactions between music listening, psychological well-being, and physiological mechanisms.  We conduct experimental studies in our laboratory in order to investigate the effects of music-based interventions on health-related variables such as stress and pain. elucidate the short- and long-term effects of music on health from a multi-dimensional perspective.